In August this year, New York based band – Bear Grass, released their second album: LEFT. Combining a tightly-honed, lo-fi sound with lush, emotive lyrics, the album is a collection of beautiful music that we loved. The album was released by the not-for-profit Five Kills Records. We exchanged emails with the Washington state native – Katie Hammon – to discuss what inspires her, as she takes part in this week’s Sound and Vision. Year of Meteors by Laura Veirs was the first album I purchased at a true record store when I was in high school. I walked up to the counter to purchase the album and the man behind the counter looked at the cover, looked at me, back at the cover and then asked me if I was Laura Veirs. Unfortunately I am not Laura Veirs, but it made my day because she is such an inspiration to me. When I listen to music I am attracted to lyrics, the imagery that they portray and the places they take you along the journey. I love thinking through the lyrics in context to that artists background and story, and this album really plays into the imagination of a geologist! I love cohesive albums that I can listen to over and over on repeat. This album is among the soundtrack to my high school days, and I have continued to play it quite regularly into my adult life. When I am feeling nostalgic, I pop this album in and it takes me away. Pedro The Lion’s It’s Hard to Find a Friend has also been in my back pocket since high school. David Bazan performed at my school venue, Club SOTA (Tacoma School of the Arts), and from that moment I’ve been hooked. I found Pedro The Lion and this album after his performance and have always loved the imagery in his lyrics. He offers such raw storytelling in an almost conversational way. I cannot get enough of this album. Dark Dark Dark’s Bright Bright Bright is made for dancing. My husband introduced me to it when we first started dating and we immediately got up and started dancing around the apartment. Though it has dark tones to it, it just makes me smile every time I listen to it. 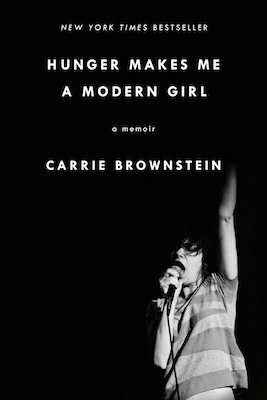 Hunger Makes Me A Modern Girl: A Memoir by Carrie Brownstein is one of the few books I have read cover to cover since middle school. I am pretty bad at picking up a book and reading for long periods of time, even if I have a six hour flight and nothing else to do. This book however kept my attention with a subject matter close to home, growing up in Washington State, having a love of Sub Pop and K Records and the music from the pacific northwest. Needless to say, I was excited to keep reading. I also read this book directly after reading Love Rock Revolution: K Records and the Rise of Independent Music, so I enjoyed delving deeper into this subject and learning more about Sleater-Kinney and Carrie Brownstein’s experiences in the world of the music business. It is one of very few books I have completed in the past ten years and was a great read. I honestly could not think of a favourite film so I asked my husband what my favourite film is and he said 10 Things I Hate About You, which oddly enough is very true. It is the movie in college that I made all myufriends watch and apparently I made him watch it a few too many times as well. Not only is the movie generally great, but it was also filmed in Tacoma and Seattle and brings me right back with some of the shots filmed at the school I attended (before it was a school, still a music shop then) and places I grew up around. I always love watching this movie and the scene on the stairs of Stadium High School with Heath Ledger singing Can’t Take My Eyes Off Of You, it’s a classic. Death Cab For Cutie’s Title & Registration off Transatlanticism has always been a favourite of mine, and the lyrics have stuck with me. This was the album I listened to most when I started writing music and I listened to this song over and over again. “The glove compartment is inaccurately named, and everybody knows it,” is such a clever way to begin a song. 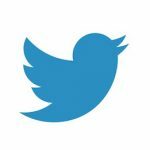 It pulls you in by stating such a simple thought that everyone can relate to, and then bam, it transitions into a very personal moment and reflection on a past relationship. It has such smooth transitions between verses, following the path natural emotions would take while overthinking ones situation. It ends so abruptly which I love, as if pulling ones self immediately out of a tailspin of emotional thoughts. It’s short and simple and makes you think. A great example of effective lyric writing.